Hello all, first post in this section of the forum. I'm building a Europa with a rotax 914 turbo engine. I have just moved onto the engine side of things and have come up with a problem. I bought my engine second hand from a UK rotax engineer. When i got the engine i got 2 sensors with it, an ambient sensor which i have fitted inside the cabin area and an air box pressure sensor. Now when i look at images of the 914 plenum chamber i see this sensor mounted to the top of the chamber on a specially welded on plate, however on my engine I don't have this mounting. What am i to do? If you don't have the Rotax airbox you need to get one. There are other connections that need to get made on this airbox. The current install manual, Edition 2 Rev 0, page 103 describes these sensors. 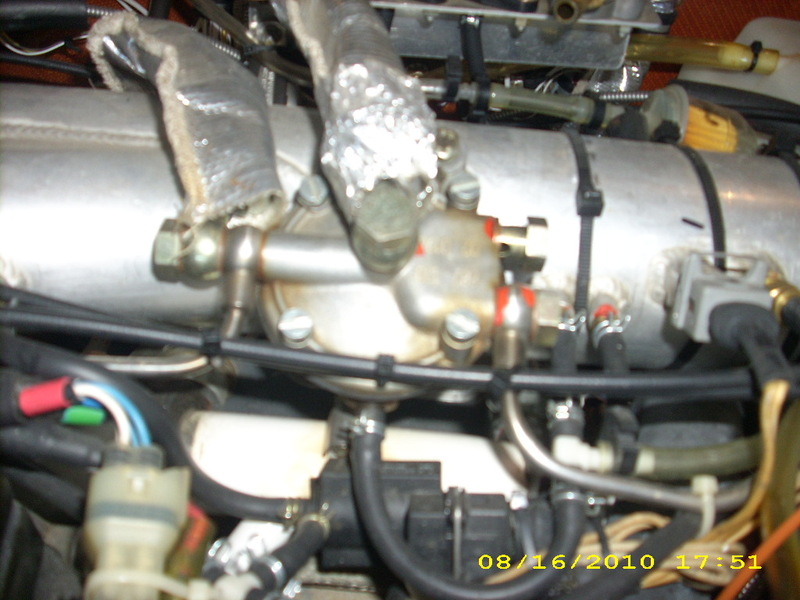 The static sensor needs to pick up the pressure near the inlet to the turbo. 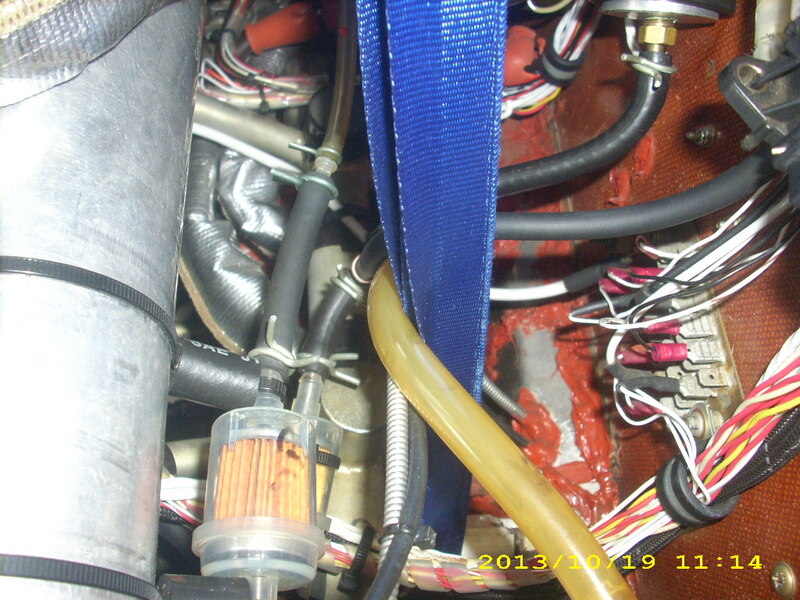 In my Europa the sensor is mounted on the firewall and a length of 4mm hose is routed to near the air filter. The airbox sensor has changed over the years. The current version has the sensor mounted to the airbox. Older versions like mine and apparently yours, have the sensor just connected to one of the 4mm hoses. You will need to cut the hose and insert a tee. It's probably easiest to cut the hose between the airbox and the fuel pressure regulator. You could also put a fitting into the threaded boss on the airbox, near the port side. 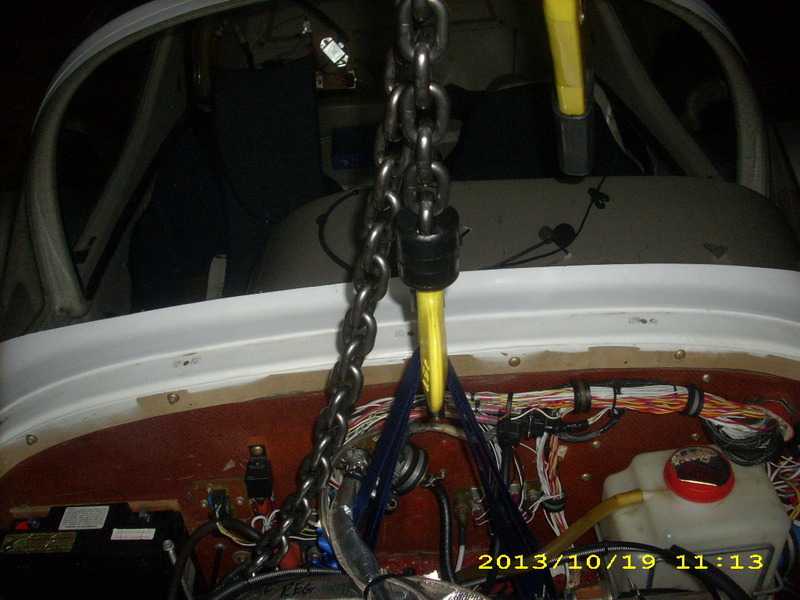 I have a airbox temp sensor there that feeds my EFIS. The early install manuals specified water filters in the circuits to sensors. The filters are just paper fuel filters. I've attached the old install manual. Have a look at page 67. While you are at it, fuel pressure specifications in the Operators Manual on a 914 is actually differential fuel pressure between the fuel pump and the airbox. The OM actually says airbox press + 3.6 psi. Page 52 of the manual has a little about this. UMA makes a differential pressure sensor that works well (P/N 1EU07D). So I have a connection to the airbox that goes to the Rotax supplied airbox pressure sensor and also to the airbox pressure side of my UMA differential fuel pressure sensor. Thanks very much for the reply Jim. So after a chat with my rotax guy and your reply, yes the sensor mounts on a bracket attached to the FW and my engine already has a T piece for the attaching hose. Apparently this is an early engine. Could you post a photo of your install please. Well, here are a few photos. Funny how you never seem to have just the correct one! Hope these help. If you need more, let us know and we can take more photos. shows sensors to right of strap. Fuel press sensor to left of yellow hook. shows airbox sensor to right. also bottom of fuel press sensor. Also the water filters. looking toward firewall. You can see air box press tee pointing to right. Also can see extra fuel hose going to diff fuel press sensot.